ParQube APS with modular design to allow maximum flexibility for all available configurations having a wide range of options to meet customer needs. Easy customization of the front panel to provide customer aesthetics. 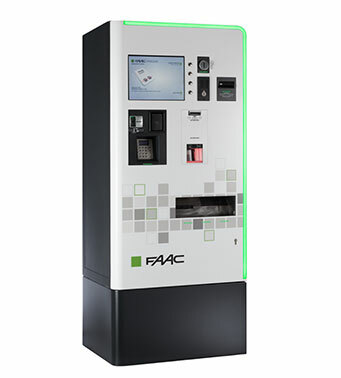 FAAC ParQube APS has been designed for user simplicity. The large display screen and ergonomic layout guides users to allow effortless payment for parking as well as offering the flexibility to accept all of the most popular payment means available. The automatic pay station is linked to the management system by a TCP/ IP network.